In January 2007, business process outsourcing provider Aptara was on the IPO fast track. The company had the financial backing of a pristine investor in American Capital Strategies. Management had pulled off what they believed to be an M&A coup in the purchase of Whitmont Legal Technologies. And an overhaul of the brand had been successfully completed. All that remained was for the corporate lawyers to file the S1 registration and for the bankers to organize the road show. Times were good and I was basking in the glow as the company’s public relations representative. It still pains me to recall how rapidly that glow became clouded. Whitmont turned out to be an albatross as it lacked much of the technical capabilities, customer relationships and financial footing that motivated the transaction. Management lost its focus on delivery of service and employee retention, creating a caustic environment. Rather than realizing its IPO dreams, Aptara’s Board of Directors recognized the need to re-boot the business. 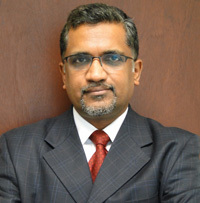 In walked Dev Ganesan, a member of the Board and the company’s new CEO. I recall in my initial meeting with Dev wondering why he would possibly take on this high-risk assignment. His career was defined by a series of accomplishments, from fast-growth companies like TRADOS and start-ups such as Intelliworks. Although Strategic Communications Group’s (Strategic) contract with Aptara concluded, I remained in fairly regular communication with Dev. I watched in amazement as Aptara shed its lost ways and re-established a growth path. That path culminated last month in the company’s acquisition by UK-based iEnergizer for $144M. When combined, the companies will have more than 11,000 employees working from locations across the globe. On March 7, I made the five minute drive from Strategic’s Tysons Corner location to Ernst & Young’s office to hear Dev talk about Aptara’s success and acquisition at an event sponsored by TiE Washington, DC chapter. 2. Secure long-term funding for the business. Although American Capital Strategies remained supportive, Dev moved to slash unnecessary expenses and overhead. He got the business profitable and then wisely put resources to work to fund development of higher margin services. “Customers will pay you a premium if you invest in innovation,” he told the audience at the TiE event. 3. Put in place the team. Dev opened his rolodex and called on executives who he knew could perform at a high level. He sold them on the vision, collaboratively developed a plan and expectations, and then allowed each member of management to execute. “If you have to motivate your management team on an ongoing basis, then you have the wrong team,” he said.